The Law Firm of Malamut & Associates, LLC is committed to representing our clients with Integrity, Compassion and Commitment. Our extensive experience provides Malamut & Associates with the tools to get positive results for our clients. We have built our excellent reputation in the areas of Personal Injury, Workers Compensation, Criminal Defense, and by "word of mouth". The lawyers at Malamut & Associates maintain an excellent reputation in the legal community which results in referrals from individuals and law firms throughout the country. As Benjamin Franklin said, "well done is better than well said" and at LM we get results for our clients. The attorneys at Malamut & Associates, LLC, have extensive experience as trial lawyers in New Jersey representing Workers' Compensation claims. This experience allows our attorneys to recognize important issues and concerns for our clients. Malamut & Associates, LLC, was formed in January, 2001, out of the vision of founding partners, Adam Malamut and Scott Liebling, and their interest in offering individuals and businesses a more client friendly law practice. Since 2001, the Firm has built a reputation for competently and ethically representing client's legal matters in the areas of Personal Injury (both plaintiff and defense), Medical Malpractice, Workers' Compensation (both petitioner and respondent), Commercial Litigation, Criminal Defense and Family Law. Additionally, we work with government entities in our Government and Regulatory Affairs practice. Although the Firm principally represents clients in the State of New Jersey, clients with significant cases have called upon the Firm's expertise to handle matters in other jurisdictions, including but not limited to: a criminal matter in Nevada, a wrongful death case in Virginia, a medical malpractice case in Pennsylvania, and a personal injury matter in North Carolina to name a few. Attorneys from Malamut & Associates, LLC, are often called upon for expert commentary and opinion in connection with hot legal topics. Malamut & Associates, LLC, understands the importance of a client being able to reach their attorney. A representative of the Firm can be reached at (856)424-1808, 24 hours a day, 7 days a week, 365 days a year. If you have a significant legal concern, call the Firm now! The attorneys at Malamut & Associates, LLC, value our clients' rights and we aggressively and tirelessly work to protect those rights. We hold the government to their burden of proving defendant's guilt beyond a reasonable doubt. Malamut & Associates, LLC, was formed in January, 2001, out of the vision of founding partners, Adam Malamut and Scott Liebling, and their interest in offering individuals and businesses a more client friendly law practice. Since 2001, the Firm has built a reputation for competently and ethically representing client's legal matters in the areas of Personal Injury (both plaintiff and defense), Medical Malpractice, Workers Compensation (both petitioner and respondent), Commercial Litigation, and Criminal Defense. Although the Firm principally represents clients in the State of New Jersey, clients with significant cases have called upon the Firm's expertise to handle matters in other jurisdictions, including but not limited to: a criminal matter in Nevada, a wrongful death case in Virginia, a medical malpractice case in Pennsylvania, and a personal injury matter in North Carolina to name a few. Attorneys from Malamut & Associates, LLC, are often called upon for expert commentary and opinion in connection with hot legal topics. The law firm of Malamut & Associates understands the importance of a client being able to reach their attorney. A representative of the Firm can be reached at (856)424-1808, 24 hours a day, 7 days a week, 365 days a year. If you have a significant legal concern, call the Firm now! Our experience in aggressively representing clients through the years gives the lawyers at Malamut & Associates, LLC the unique ability to maximize monetary recovery for our clients both through aggressive negotiation and skillful trial work. Malamut & Associates, LLC was formed in January, 2001, out of the vision of founding partners, Adam Malamut and Scott Liebling, and their interest in offering individuals and businesses a more client friendly law practice. Since 2001, the Firm has built a reputation for competently and ethically representing client's legal matters in the areas of Personal Injury (both plaintiff and defense), Medical Malpractice, Workers Compensation (both petitioner and respondent), Commercial Litigation, and Criminal Defense. Although the Firm principally represents clients in the State of New Jersey, clients with significant cases have called upon the Firm's expertise to handle matters in other jurisdictions, including but not limited to: a criminal matter in Nevada, a wrongful death case in Virginia, a medical malpractice case in Pennsylvania, and a personal injury matter in North Carolina to name a few. Attorneys from Malamut & Associates, LLC, are often called upon for expert commentary and opinion in connection with hot legal topics. Malamut & Associates, understands the importance of a client being able to reach their attorney. A representative of the Firm can be reached at (856) 424-1808, 24 hours a day, 7 days a week, 365 days a year. If you have a significant legal concern, call the Firm now! The Law Firm of Malamut & Associates, LLC is committed to representing our clients with Integrity, Compassion and Commitment. Our extensive Experience provides M&A the tools to get positive results for our clients. We have built our excellent reputation in the areas of Personal Injury, Workers Compensation, and Criminal Defense by "word of mouth". The lawyers at Malamut & Associates maintain an excellent reputation in the legal community which results in referrals from individuals and Law Firms throughout the country. As Benjamin Franklin said, "well done is better than well said" and at Malamut & Associates we get results for our clients. After earning a Bachelor's Degree in Political Science from Rutgers University, Mr. Malamut was admitted to and attended Temple University School of Law where his numerous accomplishments included the Moot Court Honor Society and the prestigious Barrister's Award for Outstanding Trial Advocacy. An experienced trial attorney, Mr. Malamut handles substantial personal injury matters, wrongful death cases, medical malpractice cases, as well as the Firm's indictable criminal matters. Since 2011, Mr. Malamut has been consistently recognized as "Top Attorney" in the Trial Lawyer category in SJ Magazine as a result of a poll taken of New Jersey lawyers. Mr. Malamut also has extensive experience in the area of Land Use and Real Estate Law. Mr. Malamut's experience includes representation of clients in commerical real estate litigation, negotiation and execution of complex redevelopment agreements, as well as appearances before planning and zoning boards on behlaf of clients for both residential and commercial properties. Mr. Malamut is admitted to practice law before the Supreme Court of New Jersey, the United States District of New Jersey, and the Third Circuit Court of Appeals. Mr. Malamut is a member of the American, New Jersey, Burlington and Camden County Bar Associations, as well as the National Association of Criminal Defense Lawyers (NACDL). In addition to his work as an Attorney, Mr. Malamut serves as President of the Board of Trustees of the Boys & Girls Club of Camden County an organization that provides services to more than 4,000 at-risk youth in the Delaware Valley. Mr. Malamut and his wife live with their daughter in Camden County, New Jersey. Mr. Malamut was born in Philadelphia, Pennsylvania in 1970. Mr. Gentes joined Malamut & Associates, LLC in January of 2013. Mr. Gentes brought to the firm his vast courtroom experience. Mr. Gentes handles civil litigation matters from intake to trial and he has experience arguing before the Appellate Division of the Superior Court of New Jersey. Mr. Gentes has received such distinctions as Awesome Attorney â Personal Injury, South Jersey Magazine (2013-2015); New Jersey Rising Star â Personal Injury, Super Lawyers (2014-2015); Clientâs Choice Award â Personal Injury, Avvo. Mr. Gentes received his Juris Doctor from Rutgers School of Law â Camden. While attending Rutgers School of Law â Camden, Mr. Gentes participated in the James R. Hunter Advanced Moot Court Competition and earned the award of Top 10 Brief. He earned his B.A., in Political Science from Rutgers University. A skilled trial attorney, Christopher St. John possesses more than a decade of experience as a prosecutor with both the Attorney GeneralÃ¢ÂÂs Office, as well as the Camden County ProsecutorÃ¢ÂÂs Office. As a Deputy Attorney General, Mr. St. John was assigned to the Gangs and Organized Crimes Unit where he became an expert in wire-taps and other forms of electronic surveillance. As an Assistant Prosecutor at the Camden County ProsecutorÃ¢ÂÂs Office, Mr. St. John successfully prosecuted hundreds of cases ranging from drug offenses to homicide. Mr. St. JohnÃ¢ÂÂs last assignment in the prosecutorÃ¢ÂÂs office was in the homicide unit where he, exclusively, prosecuted and tried homicide cases. In addition to his experience representing the State of New Jersey, Mr. St. John currently serves in the U.S. Army JAG Corps as a Captain. Recently he returned from his Orders at Ft. Stewart, GA, where he served as a prosecutor and successfully prosecuted matters involving the violations of the Uniform Code of Military Justice. Mr. St. John also served as a trusted advisor to commanders on various legal and administrative issues affecting Soldiers of the United States Army. Mr. St. John received his Juris Doctor from Rutgers School of Law Ã¢ÂÂ Camden. He earned his B.A., in Political Science from Arizona State University. Mr. St, John is admitted to practice in the State of New Jersey and before the U.S. District Court for the District of New Jersey. Mr. St. John resides in Marlton, NJ with his wife and children. Mr. St. John enjoys volunteering his time as a youth sports coach. Vincent A. Campo is a trial lawyer who has been practicing law for more than twenty-seven years. His practice focuses on protecting people who are injured by the fault of others and defending the rights of citizens accused by the government of wrongdoing. Mr. Campo practices law in the State and Federal courts of New Jersey and Pennsylvania. He has had many civil and criminal trials in New Jersey and Pennsylvania. He has also argued a number of times before the New Jersey Superior Court Appellate Division. Mr. Campo will be personally involved in all aspects of your case from initial client contact through trial, and if necessary appeal. Mr. Campo joined Malamut & Associates, LLC, in 2017. Before doing so Mr. Campo was a sole practitioner. However, after meeting the lawyers and staff at Malamut & Associates, LLC, he realized his clients would be better served if he joined them due to the tremendous resources, experience and work ethic of the firm and the people who work there. Mr. Campo received his undergraduate degree from Villanova University and law degree from Widener University. Mr. Campo recently moved back to South Philadelphia with his wife, son and daughter. Experienced workers’ compensation attorney Leslie J. Jandoli, Esquire, joined Malamut & Associates in 2017. Mr. Jandoli is admitted to practice before the United States Supreme Court, the United States District Court for the District of New Jersey, as well as all Courts and Administrative Agencies in the State of New Jersey. Les is a current member of the Camden County Bar Association and its Committees on Workers’ Compensation, Professionalism, and is a former member of the Camden County Ethics Committee. A proud graduate of The University of Notre Dame, Mr. Jandoli subsequently obtained his J.D. from Rutgers Law School, Camden. Les’ past work experiences include service as a Special Agent with the Federal Bureau of Investigation, partnership at New Jersey firm, Brown & Connery, and extensive experience as a practitioner in Haddonfield, New Jersey, where he specialized in representing injured employees. Mr. Jandoli has also worked as a trial advocate on behalf of injured employees, in his role as practitioner in settlement conferences. Mr. Jandoli and his wife, Karin, reside in Marlton, New Jersey. Bob Agre is certified by the Supreme Court of New Jersey as a Criminal Trial Attorney and brings with him more than 40 years of trial experience. An expert in the area of Ethics, Bob is often called upon to represent other lawyers who face ethics inquiries and charges. A zealous advocate, Bob has earned recognition as a Super Lawyer for more than 10 consecutive years, earned the distinction of an AV Rated lawyer by Martindale-Hubbell, and teaches continuing legal education classes to other legal professionals. In 2012, Bob was named Camden County Professional Lawyer of the Year, an honor bestowed upon only one attorney per year, based on an attorney’s professionalism, ethics and contributions to the profession. Annmarie Jensen is a New Jersey and New York licensed trial attorney with more than 20 years experience, who concentrates her practice in the areas of Family Law, Mediation, Appellate Law and Personal Injury Law. She has earned such distinctions as Awesome Attorney – Personal Injury, South Jersey Magazine (2017) and Mediation, South Jersey Magazine (2018).Annmarie has earned two distinguished qualifications as a Mediator. In 2014, pursuant to NJ Sup. Ct. Rule 1:40, she earned the designation of Qualified Family Mediator. Preceding that, in 2011, Annmarie earned the designation of Qualified Civil Mediator pursuant to NJ Sup. Ct. Rule 1:40. Annmarie’s cooperative, dignified approach to family matters finds its origin in her completion of an around-the-world travel-study research grant that she was selected for as an undergraduate student. With a generous grant from the Circumnavigator’s Club Foundation, Annmarie traveled for two and a half months to six different countries to compare and contrast peaceful conflict resolution policies and approaches. Mr. Drollas has almost thirty (30) years of experience in the representation of private and public sector clients in all aspects of federal and state civil litigation matters, and in administrative proceedings before the executive branch of state government. Mr. Drollas has focused his practice on environmental and land use matters, including a breadth of issues in federal and state environmental law, as well as issues that are unique to New Jersey government, including the regulation of solid waste disposal pursuant to the Solid Waste Management Act, development within regulated freshwater wetlands, flood plains, and in coastal zones, permitting and enforcement matters pursuant to the state’s air pollution and hazardous waste disposal laws, and land development matters before the New Jersey Pinelands Commission and on behalf of the New Jersey Schools Development Authority. Additionally, Mr. Drollas also has extensive experience in land acquisition matters on behalf of government and private sector clients, and in eminent domain litigation matters, and has nearly two decades of experience in representing municipal utilities authorities in all aspects of the management of public water supplies and wastewater disposal systems. 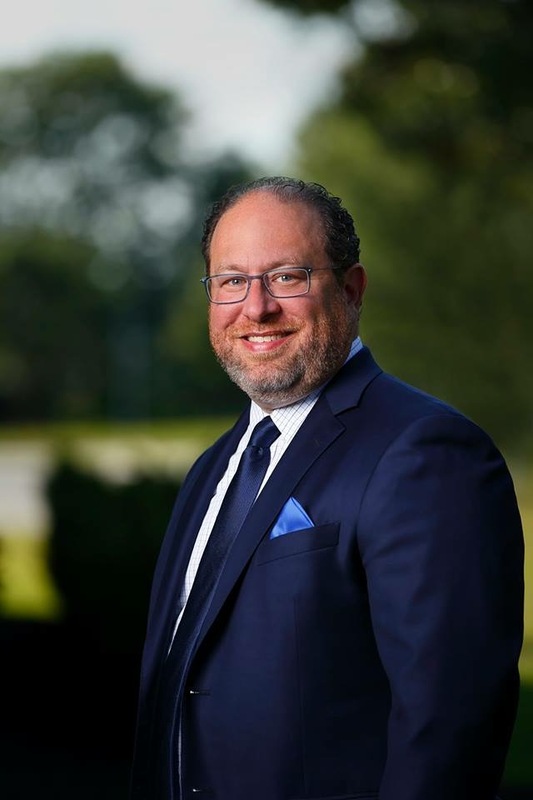 He also has over a decade of experience in the representation of municipal governing bodies as Township Attorney, and as Board attorney for local land use regulatory agencies, including planning and zoning boards, and as general counsel to a County planning board. Prior to joining Malamut & Associates, LLC, Mr. Drollas was a shareholder of a large firm in South Jersey and also served as the Deputy Attorney General for the State of New Jersey. Mr. Burns concentrates his practice on all aspects of litigation and the representation of public entities and private businesses. He has zealously represented agencies and commissions, and state, county and local boards. Mt. Burns also represents his clients in the preparation and negotiation of contracts, including employment, sales, consulting, non-competition and independent contractor agreements for both public and private entities. Mr. Burns has also successfully negotiated numerous public sector collective bargaining agreements, private employment agreements, and project labor agreements. Mr. Burns provides general and labor and employment counsel services to municipalities, schools, private businesses, a municipal utilities authority, and a bridge commission. He is an active pediactric cancer advocate, founder of the #SAVEJOSH campaign and a member of Coalition Against Childhood Cancer (CAC2). Mr. Cruz advises clients on employment, administrative/regulatory, and complex litigation matters. He focuses his practice on employment-related matters, including counseling and litigation of issues involving harassment, discrimination, retaliation, wage and hour disputes, contractual breaches, and claims involving restrictive covenants and employee recruitment practices. Prior to joining Malamut & Associates, Mr. Cruz was a shareholder at a large firm in South Jersey. He also practiced labor and employment law with an international law firm in Princeton, New Jersey. Before entering the labor and employment arena, he was an associate in the commercial litigation practice of another mid-Atlantic law firm in Philadelphia, Pennsylvania where he represented clients in complex commercial litigation, involving issues such as unfair competition,trademark and copyright infringement, trade secret misappropriation, and prosecution of civil fraud claims for embezzlement by licensed professionals and employees. During law school, Mr. Cruz was selected as a Graduate Fellow of Rutgers University’s Eagleton Institute of Politics where worked with the Secretary’s Representative for the Northeast Region at the U.S. Department of Labor. Primo also served as the editor-in-chief for the Rutgers Law Journal (now known as the Rutgers University Law Review). Mr. Crook focuses his practice on governmental, administrative/regulatory, and complex litigation matters. Mr. Crook represents governmental and private entities, as well as individuals, with respect to laws governing employment, civil service and municipal matters. Mr. Crook is admitted to the Pennsylvania and New Jersey Bars, as well as the U.S. District Court, District of New Jersey and the U.S. Court of Appeals in the 3rd Circuit. He is also a member of the Burlington County Bar Association. Mr. Crook has also been honored as South Jersey’s Top Attorneys by SJ Magazine, South Jersey’s Awesome Attorneys by South Jersey Magazine and Best Attorney in the Business – Regulatory & Governmental Affairs by South Jersey Biz. Mr. Crook’s significant experience also includes serving as a Superior Court Judge of New Jersey from 2007 to 2012 and serving as Solicitor to the County of Burlington from 1996 to 2007.